Captain Donald Ronald MacLaren (Royal Air Force) and his patrol of three machines attack a formation of six enemy scouts, although the latter are protected by sixteen other enemy aircraft at a higher altitude. Firing a burst at point-blank range, he shoots down one in flames. Captain Allan Hepburn (Royal Air Force) and Second Lieutenant Horace George Eldon shoot down an enemy Fokker VII near Habourdin. 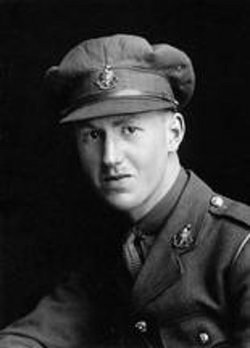 Second Lieutenant ‘Sir’ John Bridger Shiffner (Royal Sussex Regiment) the 6th Baronet is killed in action at age 19 his brother the 7th Baronet will be killed on 22nd November 1941 as a Major in the Royal Artillery at El Alamein. Second Lieutenant Arthur Garton (Sussex Regiment) is killed in action at age 29. He won an Olympic Gold Medal as a member of the 1912 eight-oared shell with coxswain team. Lieutenant Colonel Rex Hamilton Leyland (commanding 2nd Rifle Brigade) is killed at age 33. Major Aubrey Hugh Darnell DSO (Australian Infantry) is killed at age 32. He is the son of Chaplain to the services the Reverend Francis Aubrey Darnell. Captain Gilbert John Strange (Royal Air Force) a seven-victory ace is shot down near Cambrai and killed at age 19. Lieutenant John Herbert Roberts (Royal Field Artillery attached Royal Air Force) is killed in action. He is the only son of the late Reverend Herbert Roberts Vicar of East Lulworth. Lieutenant Everard Lindesay Brine (Hampshire Regiment attached Dunsterforce) is killed in action at age 27. He is the son of Admiral Brine. Lieutenant the Reverend John Morrison (Cameron Highlanders) is killed by a shell at age 33. He is the son of the Reverend Murdo Morrison. Second Lieutenant John Paterson (Essex Regiment) is shot at dawn for murdering Sergeant Harold Collison a Royal Military Policeman who was attempting to arrest him for desertion. Second Lieutenant Gerald Bardsley Taylor (Leicestershire Regiment attached Durham Light Infantry) becomes the third brother to be killed in the Great War. His brothers were both killed in 1916. Second Lieutenant Raymond Charles Page (South Staffordshire Regiment) is killed at age 41. His brother was killed last month. Rifleman Thomas Earl (King’s Royal Rifle Corps) is killed in action at age 25. He has had two brothers previously killed in the Great War and though none of their bodies will be identified they are commemorated on different memorials. Private Michael Cox (Durham Light Infantry) is killed at age 18. His brother was killed in July 1915.